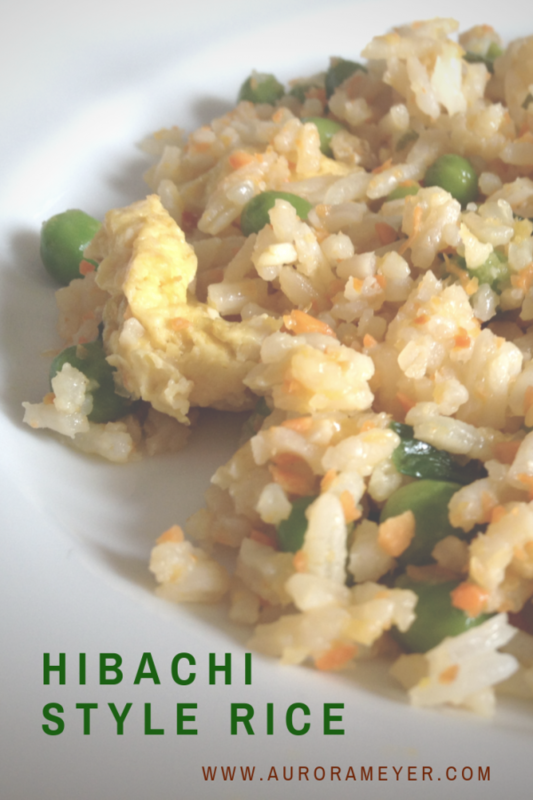 After a recent trip to our local Hibachi grill, we realized that copying the food at home wouldn’t be that difficult. So after a quick internet search, we found exactly what we were looking for the fried rice recipe. The Rice: Cook rice according to package directions. Put in bowl and place in refrigerator to cool while getting the rest of the ingredients together. Eggs: Scramble the eggs in a small pan over medium heat. Separate the scrambled chunks of egg into small pea-size bits while cooking. When rice has cooled to near room temperature, add peas, shredded carrot, scrambled egg and diced onion to the bowl. Dump the bowl of rice into the pan with the eggs. Slowly add soy sauce plus a dash of salt and pepper. Mix to combine. My opinion: I love this rice. It's simple and filling enough to eat as a meal by itself. I'm a rather big fan of banana muffins. Mostly because they're just as tasty as banana bread, but cook faster and are easier to transport. Plus, you can add all kinds of things, like blueberries, to them and they're still wonderful. My usual recipe calls for flour, but some how we were out. So I found this recipe from Chase and Em's blog. 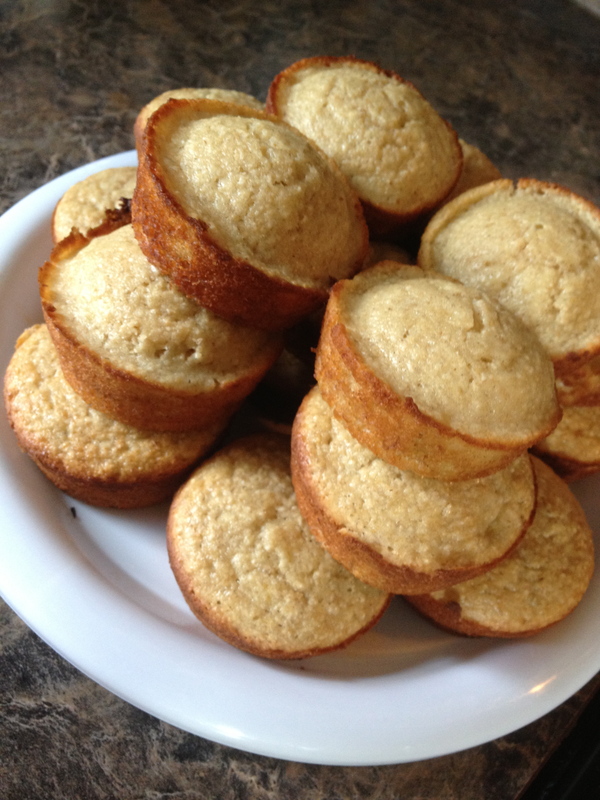 With a few modifications, I had some super fast, delicious, friend-worthy muffins. 1 cup vanilla yogurt we used HyVee brand. 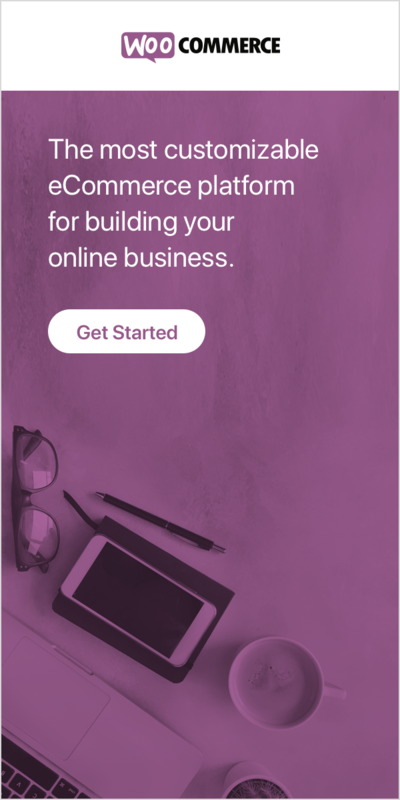 Feel free to use plain. The original recipe called for Greek. Spray muffin tin with non-stick cooking spray or line with silicone or foil liners. Grind the oatmeal into oatmeal flour (we used our coffee grinder for this, a half cup at a time) and put in a mixing bowl. Mix in the rest of the ingredients, mashing the banana. Pour into the coated or lined muffin tins (ours took about a half cup each) making sure to leave room for the muffins to rise. Bake for 15-25 minutes, or until toothpick comes out clean. Our oven took a little more than 20 minutes. Just set a timer for 15 minutes, check, if necessary add another 5 , check, and then keep a close eye after that. 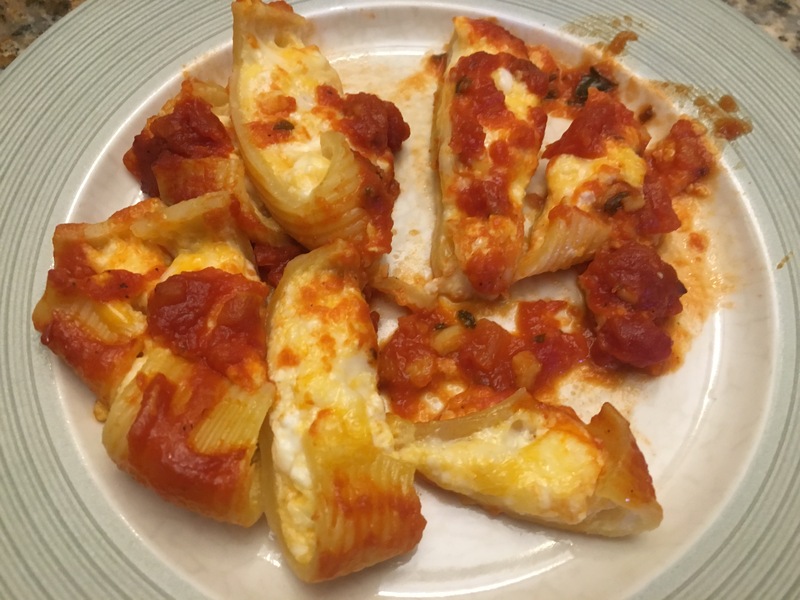 Miss A has an affinity for all things Italian, like last week’s chicken “parm.” When I was little, my mom used to make these stuffed shells. My sister and I remember them fondly* and I thought Miss A would like them as well. We were right. She loved the stuffed shells. They’re easy enough for a weeknight dinner and perfect for a Friday during Lent. 1 small container cottage cheese /Ricotta cheese large or small curd doesn't matter, I prefer the cottage cheese but to each their own! Get the water boiling and follow the directions on the box. Our box said boil for 9 minutes if baking. Shred the blocks of cheese. Mix together the cottage cheese and two eggs, then add the shredded cheese and mix. You can add seasoning like salt and pepper or this delicious Penzy's frozen pizza blend we received as a gift. When we made this for Miss A the first time, we left out the spices and just sprinkled them on before we ate. 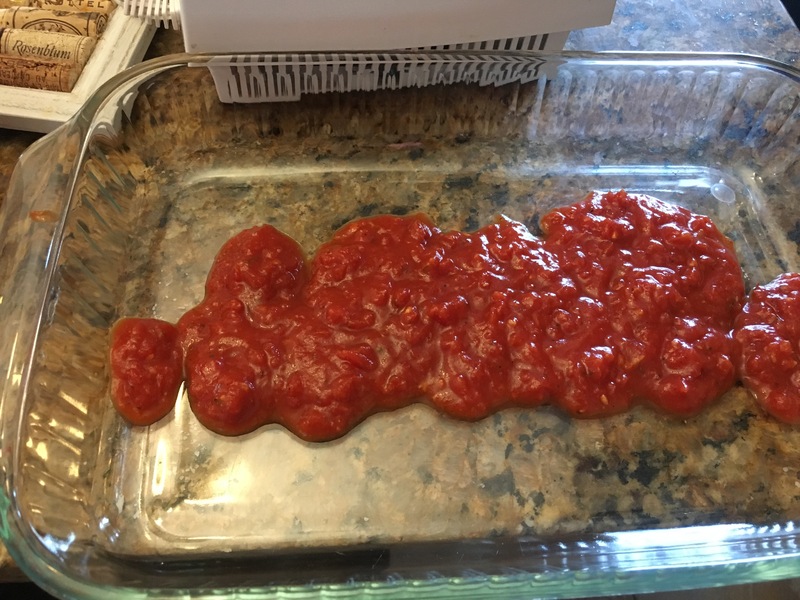 Pour about 1/3 cup of the pasta sauce on the bottom of your favorite baking dish. Drain the pasta and shock with cold water. 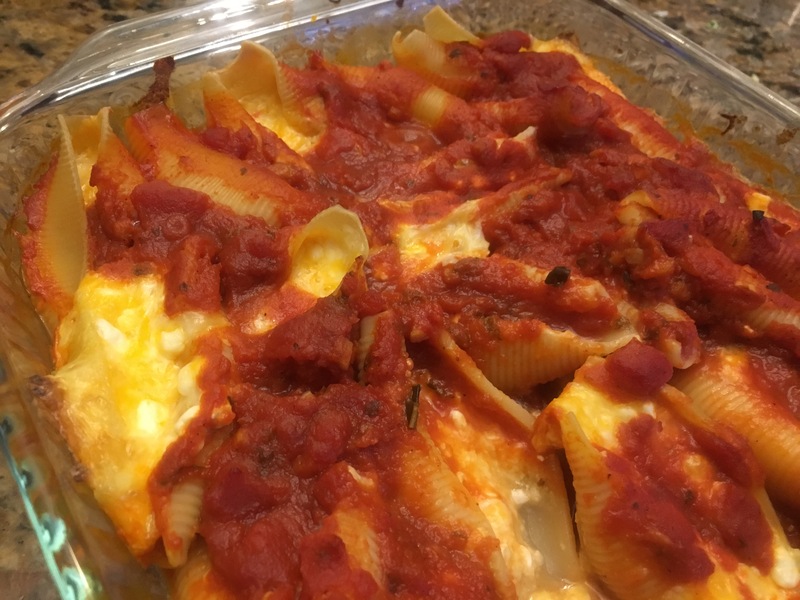 Using a soup spoon (or your favorite spoon) stuff the shells and line the baking dish. Pour remaining sauce (you might need another half a jar to get all of the pasta covered). Bake at 350 degrees for at least a half an hour or until all the sauce is bubbling and the cheese is melted. For at least the last 10 years, I’ve been making this dish wrong. I *remembered (incorrectly it seems) my mom using cheddar cheese and I couldn’t figure out why it never tasted exactly right. When shopping for the ingredients for this dish with my sister, she said she remembered our mom using colby cheese. Upon my first taste with J and Miss A I remarked that my sister had been right and the missing ingredient was colby cheese! That’s when we Facetimed my mom from the dinner table with the intention of showing her how excited Miss A was to eat one of her recipes. That’s when my mom asked about the ingredients. Turns out she sprinkled Parmesan cheese* on top! I feel like the kid in Alexander and the Terrible Horrible No Good Very Bad Day (one of Miss A’s current favorites) when Alexander exclaims, “I HATE Limas” after having to eat lima beans for dinner because I very much dislike Parmesan cheese and absolutely do not remember that being part of this recipe. Isn’t it funny how something as simple as a childhood dish can be interpreted so differently? During the last few months of my pregnancy, I had to increase my protein intake. Lucky for me, J found several recipes that tasted good, included several servings of vegetables and had lots of protein. This one from Tori Avey with a few modifications quickly became one of our favorites. You can modify the spice level based on your tastes. If you want to add more eggs, feel free! It’s just as good the next morning on toast like huevos rancheros. Heat a deep, large skillet or sauté pan on medium (we use our cast iron skillet for this). Heat olive oil in the pan. Add chopped onion, sauté for a few minutes until the onion begins to soften. Add garlic and continue to sauté until mixture is fragrant. Add the bell pepper, sauté for 5 to 7 minutes over medium heat until softened. Add tomatoes and tomato paste to pan, stir to blend. Add spices and sugar, stir well, and allow mixture to simmer over medium heat for another 5 to 7 minutes until it starts to reduce. Taste the mixture and spice it according to your preferences. At a minimum, add salt and pepper to taste. You can also add more sugar for a sweeter sauce, or more cayenne pepper for a spicier shakshuka. Sprinkle the feta over the dish, or mix it in if you like. Then crack the eggs, one at a time, directly over the tomato mixture, making sure to space them evenly over the sauce. 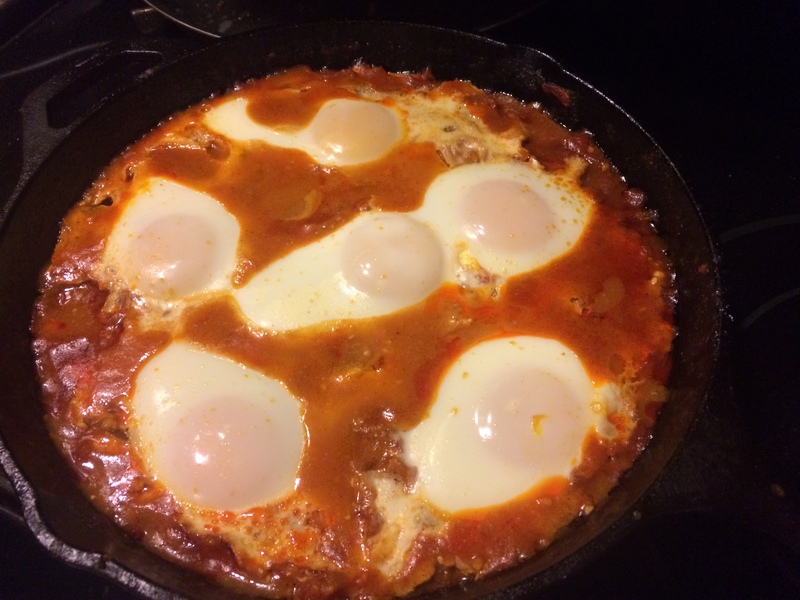 In our cast iron skillet, we can get about five eggs around the outer edge and one in the center. 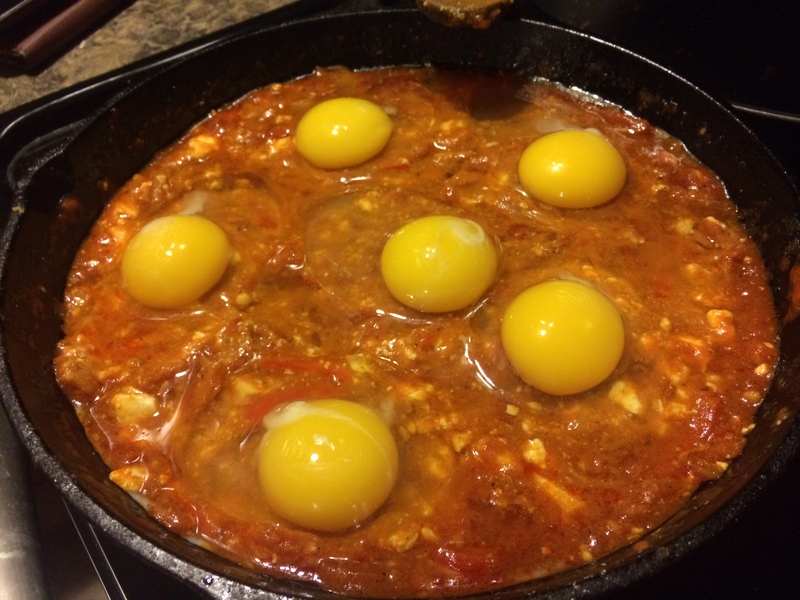 The eggs will cook over easy on top of the tomato sauce. If you prefer more done eggs, you can heat the oven to 350 degrees and cook in the oven until set (when the skillet is jiggled, the eggs don't jiggle back). We leave the mixture uncovered and let simmer for between 5 and 15 minutes, or until the eggs are cooked and the sauce has slightly reduced. Be careful at this point, because the mixture can go from reducing to burning quickly. Serve in a bowl alone, over rice or with some french bread. This dish is delicious hot or cold. With sides or alone. It’s easy, filling and perfect for a late fall evening. p.s. 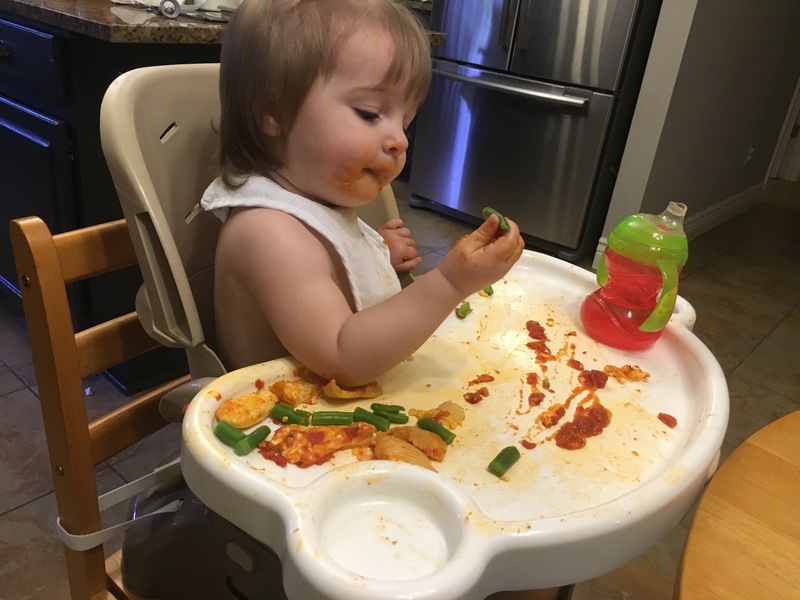 Summer 2016 update: without the cayenne pepper and the chili powder, our toddler loves this dish. We just add the extra spices onto our own plates.